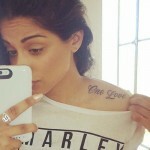 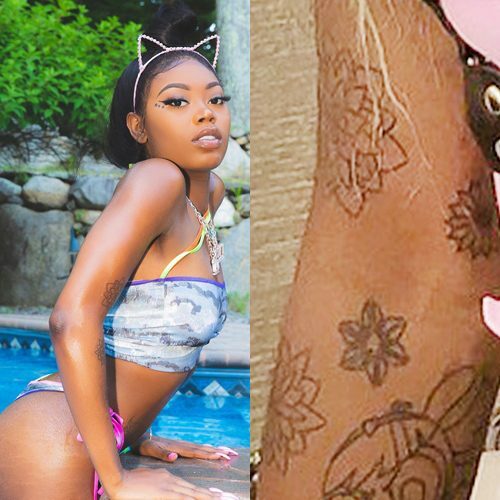 Kelis has a floral design tattoo on her back. 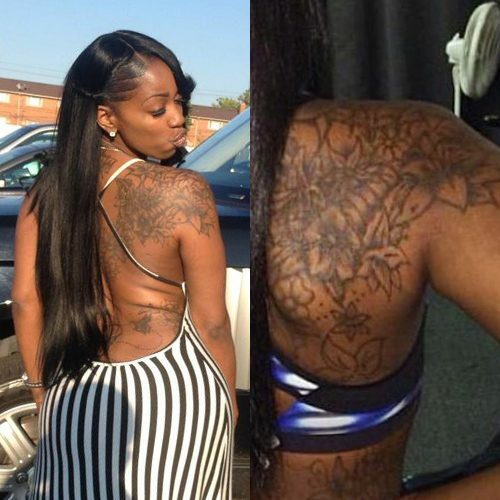 Kash Doll has her entire right shoulder blade and upper back covered with flowers tattoo. 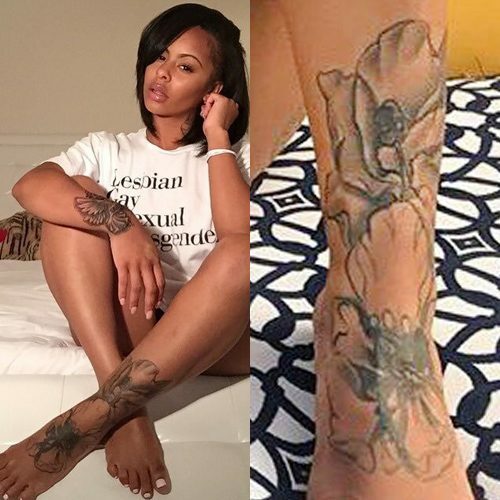 Alexis Skyy has a tattoo with large flowers on her left foot. 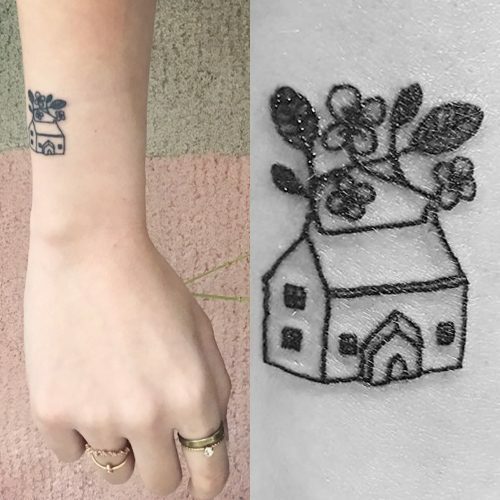 Frances Bean Cobain has a floral design on her right side. 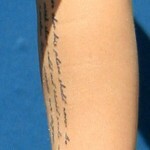 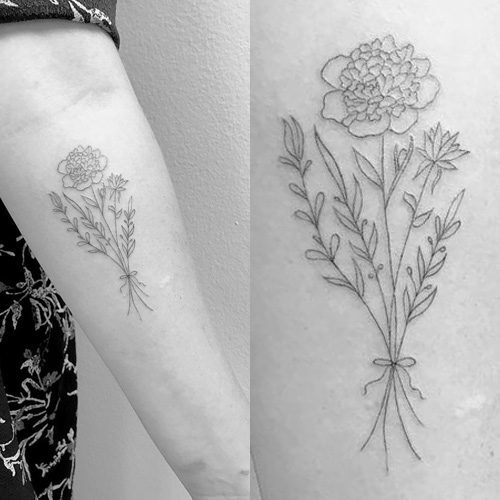 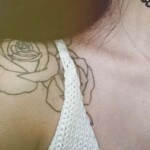 Sasha Pieterse has a lovely tattoo of a flower with stems tied together in a bow on her left forearm. 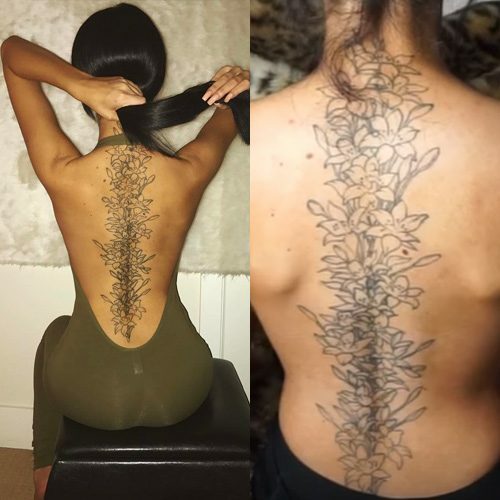 Sahlt covered up her grandma’s memorial back tattoo with an ample design of stargazer lilies which are her mom’s favorite flowers.